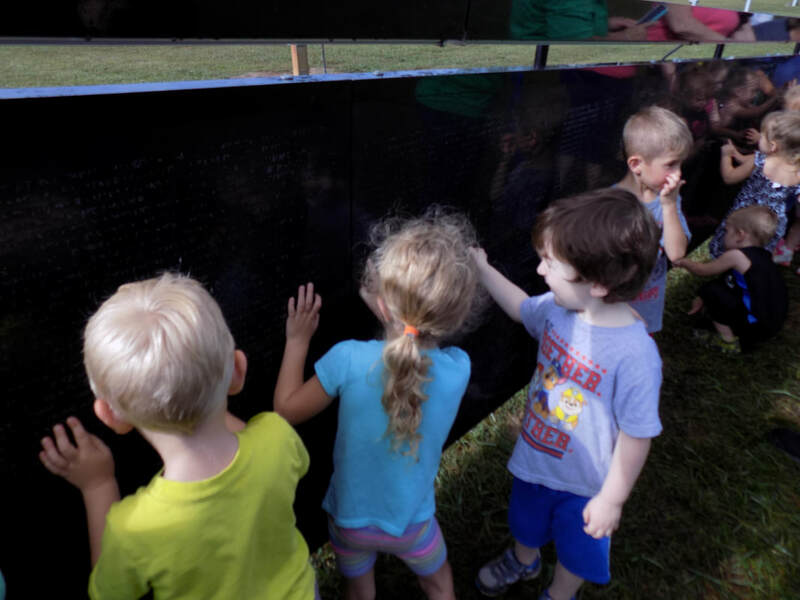 The three-quarter scale travelling replica of the Vietnam Veterans Memorial located in Washington, D. C. is 375 feet in length and stands 7.5 feet high at its tallest point. 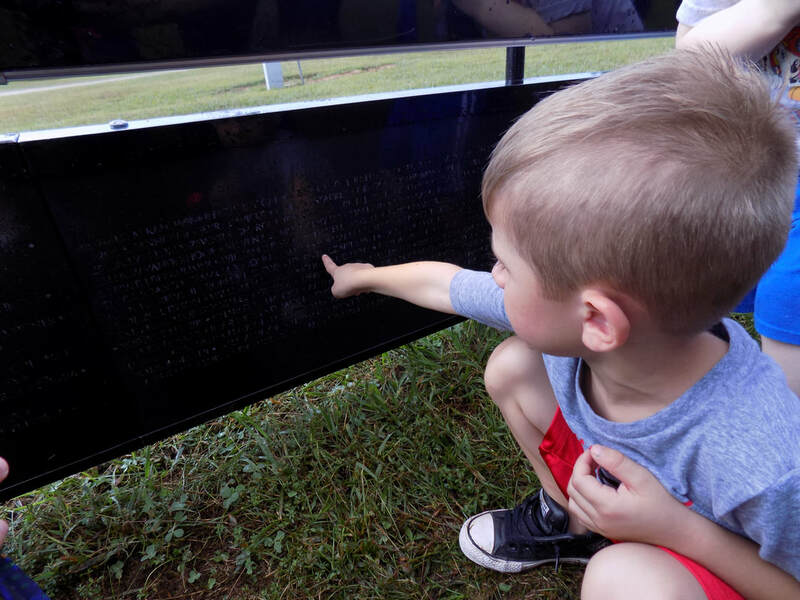 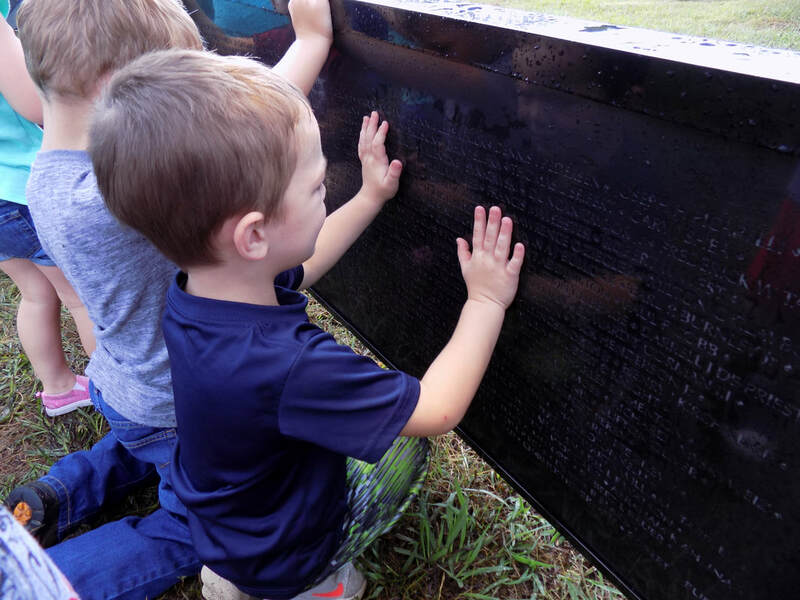 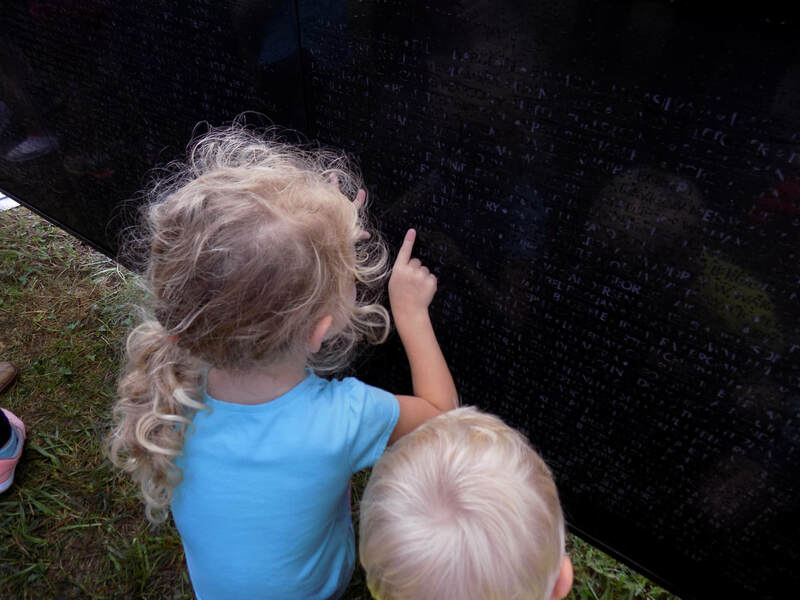 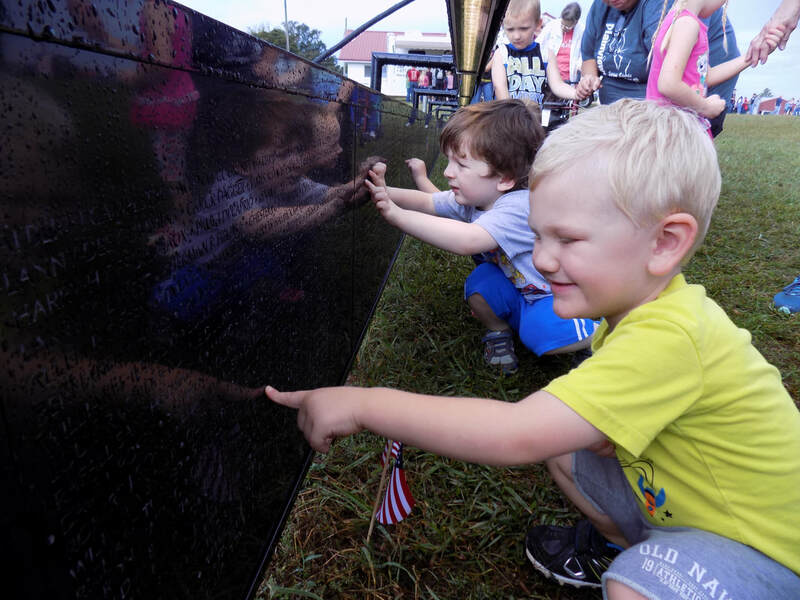 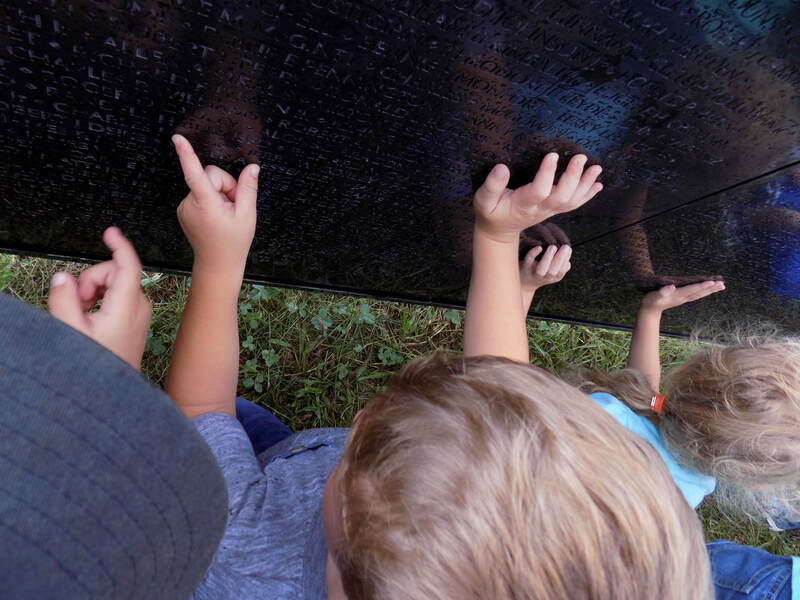 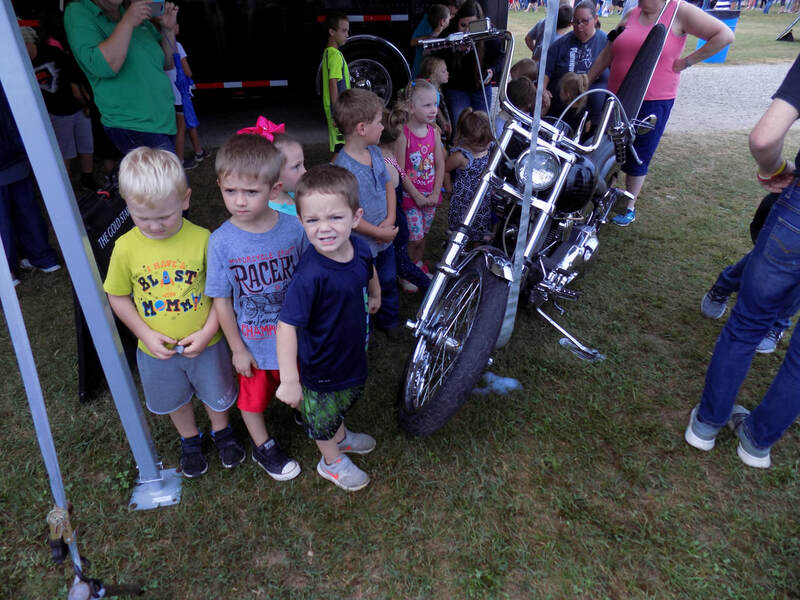 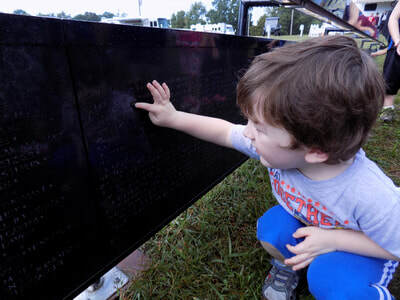 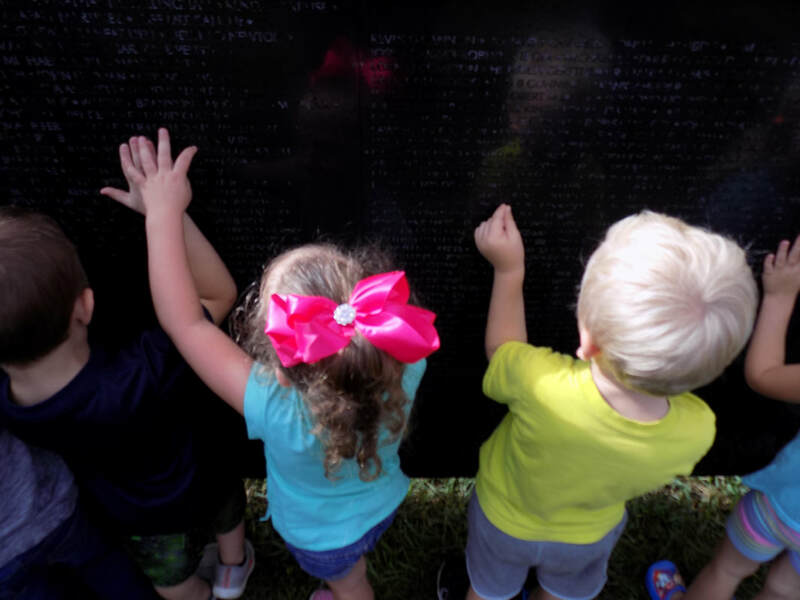 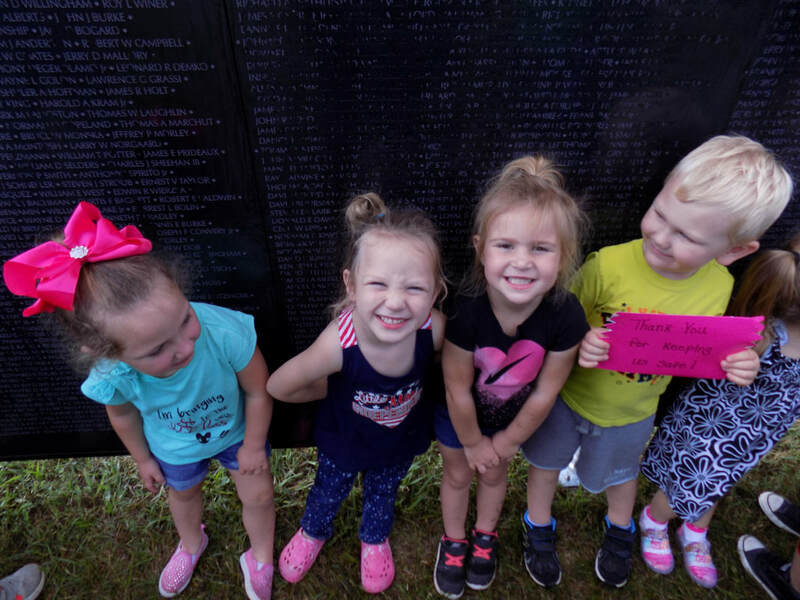 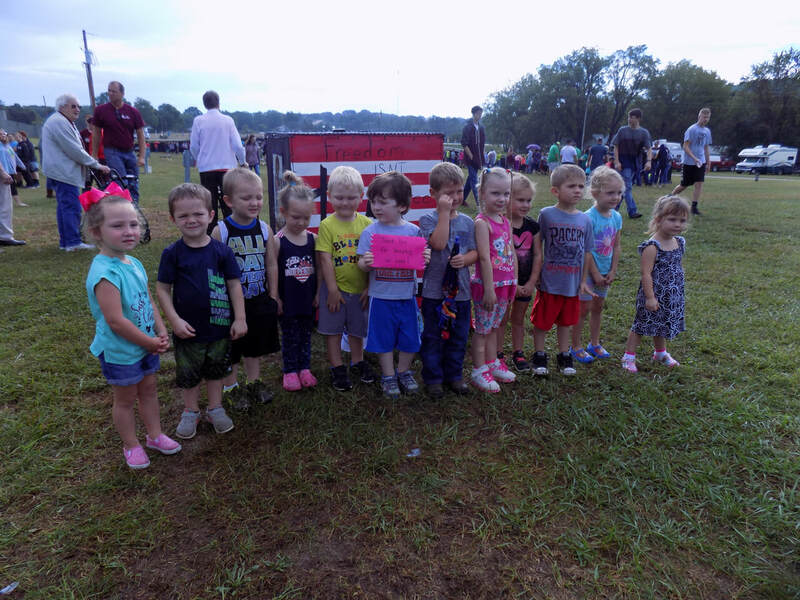 The Plainview Preschool Class had the opportunity to visit The Wall that Heals. 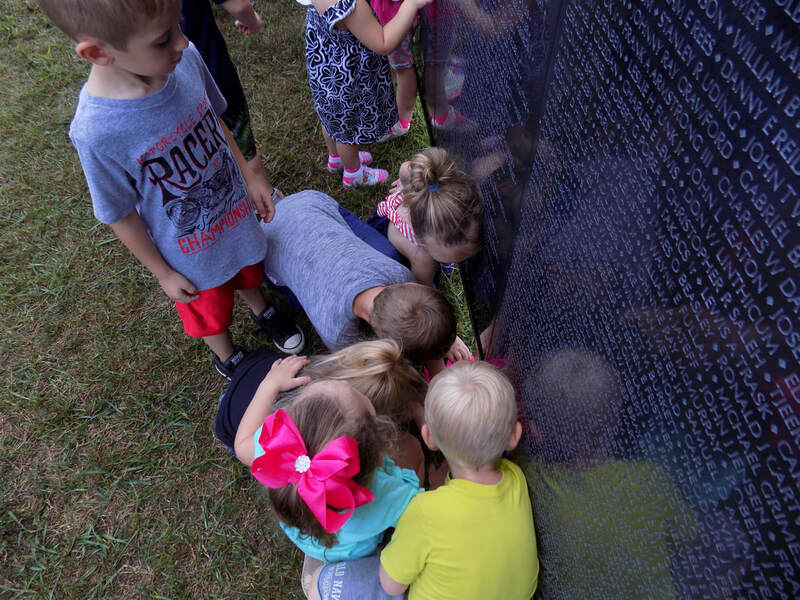 When discussing the importance of remembering those soldiers who gave their lives to keep our country safe, many students expressed thankfulness. 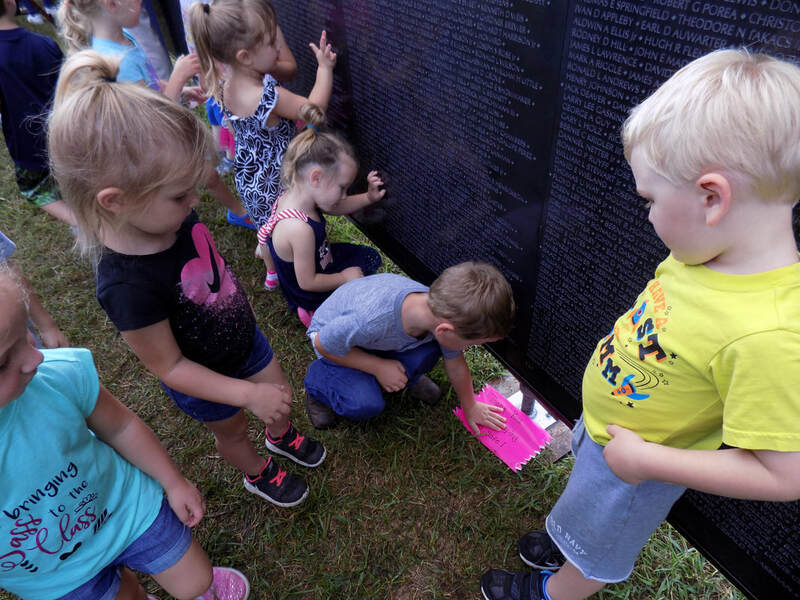 To remember the significance of The Wall, the class signed Thank You notes which were put in one envelope and left at The Wall. 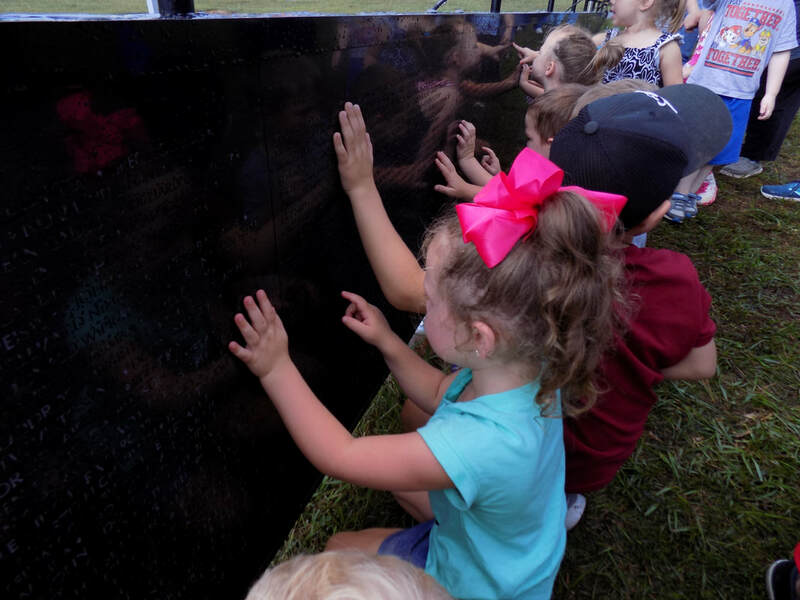 It is our hope that our students will always remember the importance of thankfulness for our military and how fortunate we are to live in a free country.